At impact flow meters the material slides over an impact plate. 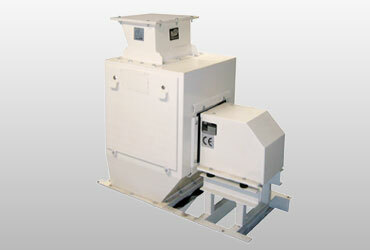 The force generated thereby is led into a sealed measuring housing on load cells. A typical case of application is the measuring of cycle load (semolina) of mill separator cycles. 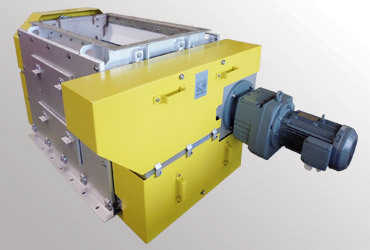 In connection with feeding aggregates such as rotary vane feeders or dosing screws they are also applied for dosing applications or for charging at loading plants. Impact flow meters are suitable even for materials with temperatures up to 400° C. Special coatings of the impact plate are available at any time. 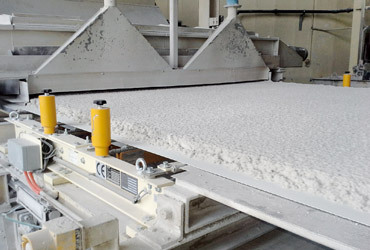 KUKLA's level measuring device was specially designed for the pre-dosing of moist bulk materials. Thereby material is constantly supplied into a pre-bin by a feeder. The pre-bin can be provided with rubber lining in order to prevent deposit build-up. An adjustable sheet to limit the material height provides a constant material load on the weigh feeder whereby high short term accuracy can be guaranteed. The level measuring device is also applied for alternative fuels for feeding kilns in the cement industry or for thermal power plants. The feeder is controlled via the KUKLA-weighing electronics depending on the pre-set capacity nominal value and on the level in the pre-bin. Part load scales serve for weighing of individual unit loads. Thereby the exact weight of the product is determined and evaluated accordingly during transport. A selection of products that are too light or too heavy can be carried out. Evaluation of the data is carried out exactly corresponding to your requirements by a specially developed software in the weighing electronics. In order to monitor, control and improve the result in a production line, area weight scales are used. 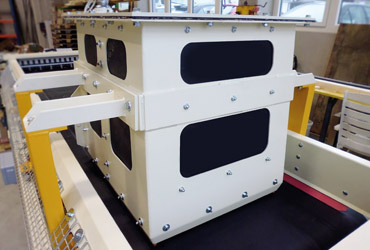 These scales can either be built into an existing belt in the production line or designed as a separate weighing belt. Precise load cell bearings in connection with measuring bars guarantee high reliability and thus optimize the entire process. Wherever the installation of a weigh feeder is not possible for reasons of space, the weighing beam is applied. 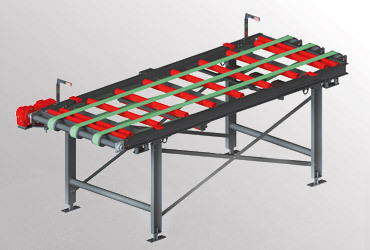 The weighing beam is simply mounted into the conveying line. The bulk material, mostly cotton, wood or synthetic fibres, slides gently over a specially mounted weighing table. 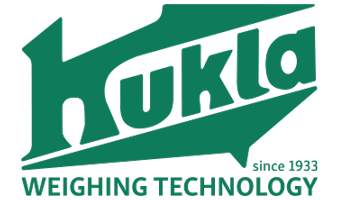 The plant sections before and after the weighing beam are controlled by the KUKLA-weighing electronics. At the end of the production line you will receive a product with extremely constant area weight. 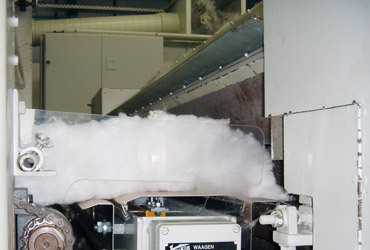 Dusts, fluidized products need to be constantly fed to the KUKLA-weighing and dosing systems. Via specially adapted sheet steel slats and laterally adjustable gaskets we can also feed products such as stucco, raw meal, fly ash or similar products properly with our feeders. 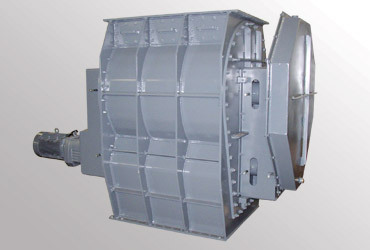 This type of rotary vane feeder is used straight after a weigh feeder, where it is necessary to protect feeding systems against pressure, temperature or steam. Any deposit build-up is removed by forced broaching. 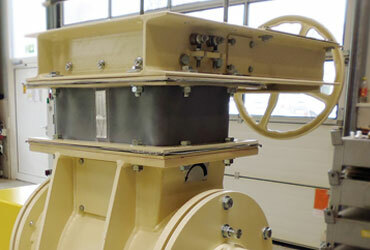 The double pendulum sluice is applied where a continuous conveying requires a sealing device against pressure, steam or temperature. This construction ensures that in any case an isolation against the next plant section is provided. Special linings prevent deposit build-up and pollution. 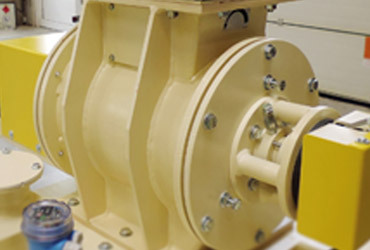 KUKLA produces flat gate valves for each flange picture. These valves, which can be served very easily, can be actuated by hand wheel, by electro-motor or by pneumatic or hydraulic cylinder. Needle gates belong to the further product range of KUKLA.